ClixSense is online PTC advertising program, where as a free member you can get paid for visiting ads, up to $0.02 for every website visited as well as for completing tasks and offers, playing games and referring others to the program. Clixsense is 6 years old and paying PTC site, created by Steven Girsky (old owner) in February, 2007. In May 2010 Clixsense changed ownership and was sold to Jim Grago. ClixSense is well managed and Established PTC site, one of the most popular in the PTC world. Well Managed – ClixSense has been online for over 6 years. For a PTC site, it is very important how long it has been online and paying. ClixSense has passed the test of time – they are providing their services since 2007 without any serious issues. Paying – Members are paid on time. Payments are send on every Monday and Friday afternoon EST (Eastern Standard Time). Unlimited Affiliate Program – There is no limit to the number of people you can refer to the site and this is excellent opportunity for members who are able to build a big downline. You will earn commissions when your direct referrals click PTC ads, purchase advertising, complete tasks or offers, when someone from your downline upgrade to Premium, and Premium members will earn signup commissions after their direct referrals earn at least $1 from PTC clicks. Forum – ClixSense does have a very active and friendly forum community. In our opinion, a PTC site should have a forum. The forum is a place where members and staff can communicate with each other. It is easier to get an good review of site through its forums. Members can post their success stories or doubts, post payment proofs, share the experience that they had with the site, ask for support and stay informed about the recent changes made to the site. Usually, on the forum you can notice the first signs if something is not as it should be. If members complain about non-payments or payment delays, then most likely the site is experiencing problems. Average Daily Earnings Without Referrals: $0.03 +/- calculated only from PTC clicks. If you complete tasks and offers, you may easily earn few dollars per day. Tasks – It is a good thing when a PTC Site can offer various earning features. You can earn money at Clixsense by completing tasks. A task is simply a set of instructions that you need to follow, and when completed, you get paid for it. For example, there may be a task to categorize images or videos, make google searches, etc. Certain tasks will require you to train for the task before it’s completed. Each task can pay you between a few cents to several dollars per completion. For every $50 you earn working on tasks you will get $5.00 Bonus that is instantly credited to your account’s balance. Tasks Contest – The tasks weekly contest is a simple contest running from Monday to Sunday that rewards the top 10 tasks workers. The prizes, total $100 every week, are distributed in the following manner: 1st place $50, 2nd $20, 3rd $10, 4th to 5th $5, 6th to 10th $2. The winners are paid instantly just a few minutes past midnight of every Sunday. Clixgrid Prizes – They have game called “Clix Grid” which you can play daily. Standard members get 25 chances to win and Premium members get 50 chances to win. How to play the game? There is a picture on a grid and you have to click the square that has the prize. When you click on a square, a new window will open. You will be shown an advertiser site with 5 seconds timer. After the time passed, if you win, you will be shown a frame telling you how much you have won. You can win anywhere between $0.10 to $5.00. ClixGrid is a game of chance. The more you play the better your chances of finding that wining spot. Offers – There are several different types of Offers and 3 Offer Walls: Matomy, SupersonicAds, TokenAds and SuperRewards each with their particularities. After completing an offer, some payments are instant, while others have a waiting period that may take up to 1, 2, 3 or 4 weeks to credit on your account, or even more depending on the advertiser requirements. Daily Checklist Bonus – For each day that you complete your Daily Checklist a bonus will be added to your account balance at the end of that day. Premium members will earn a 12% bonus of their personal earnings, while standard members will earn a 5% bonus. The bonus amount you can earn is unlimited, it only depends on your activity. This bonus will be calculated from your total personal earnings that include your PTC Ads clicks, ClixGrid prizes, completed CrowdFlower Tasks and completed Offers. In order to complete the Daily Checklist you need to: click at least 2 PTC Adverts of any kind, click at least 15 ClixGrid squares, either complete at least 10 CrowdFlower Tasks, at least 2 Offers or at least 5 Tasks and 1 Offer, visit at least one page of the forum. Toolbar – They have toolbar with instant ad notifications and current balance. Members who use the toolbar are more likely to see more ads. Clixsense offer four different types of exposure for the PTC Ads. They are Micro, Mini, Standard and Extended. Each has a different exposure time that varies from 3 to 60 seconds and with different options available. They also require a different amount of Ad Credits per click. ClixSense ClixGrid AdvertisingYou can advertise your website or product in the ClixGrid game for 30 days for a price of $17.00. During this period, your link will receive around 20,000+ total views, which is less than $0.0008 per view. If you want to change your link, you will be allowed to do it only once by sending a helpdesk request. You can also buy Text ad and Banner Ad space through AdHitz, an advertising network which is also owned by Clixsense Inc. Text ads will appear on ClixSense Homepage just under page content. Image ads appear just under the Text ads on the homepage. Both Text and Image ads will appear on other pages for logged in users. Image ads will also appear at the top frame while users are viewing ads at Clixsense. 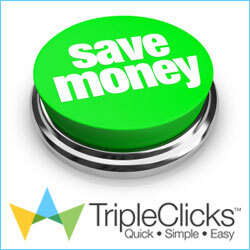 The prices for Text ads are $0.05 per click and for Image ads $0.07 per click. February 22, 2014 – Enabled downline click commissions on Sticky Ads. All members, regardless of their status (Free or Premium) will earn 10% commission from their referral clicks on Sticky Ads. In our opinion, Clixsense is a safe site to use. Our Clixsense review shows that the site has passed the test of time and they are paying as promised for over 6 years. With the recently introduced earning methods, even if you do not have referrals, you can still earn a few dollars a day by completing tasks, offers or surveys. Thus, your earning potential now is substantially higher than before. On the other hand, if you manage to build big and active downline, you may consider to upgrade you account to take the benefits of the powerful 8 levels referral system. Their upgrade package is one of the cheapest in the PTC industry, it costs only $17.00 per year. Active downline is the key for bigger earnings without hard additional effort and how to build one read in our article: “Build your downline by requesting referrals “.